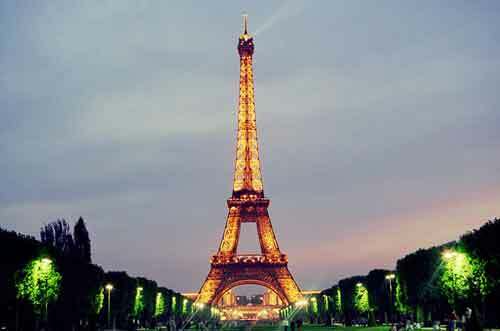 The iconic Paris landmarks are mostly situated along the Seine river. They include the cathedral Notre Dame de Paris (12th century), the Eiffel Tower, the Champs-Elysées with their domineering Arc de Triomphe, the Place Vendôme, the Louvre, the Conciergerie, the Invalides, the Palais Garnier... There are also many parks and gardens, either à la française (symmetrical, with big axes and perspectives) such as the Tuileries Gardens or the Parc du Champ de Mars (where the Eiffel Tower is located), or à l'anglaise such as the Parc Monceau or the Parc des Buttes Chaumont. For productions on a shoestring, there are many studios with equipment for affordable prices (about 30 euros per hour, decreasing rate of charge), such as le Studio Perché in Montmartre, le Studio Sténopé close to Canal Saint-Martin, or Hellocost in Paris 2nd district. See also Mannequin Paris and Photographes Paris. You may want to visit our partner in art estimation.